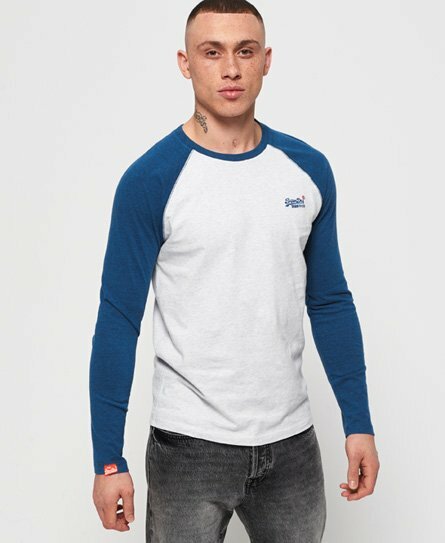 Superdry men’s Baseball long sleeve t-shirt from the Orange Label range. This tee is the perfect choice for a fresh and current wardrobe, easy to layer and great to partner with a range of wardrobe staples. This tee features a crew neckline, long sleeves and a Superdry logo embroidered on the chest. For a timeless outfit, style this tee with jeans and trainers.